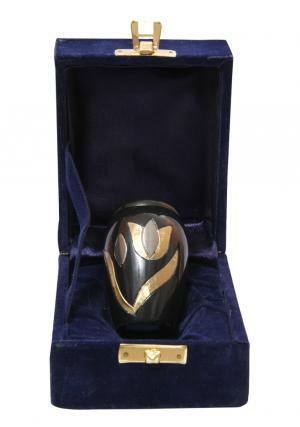 The mini keepsake funeral urn is decorated in beautiful tulips considered to be the symbol of love. 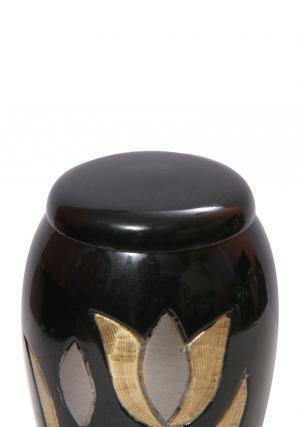 The small urn has a majestic decoration of Golden tulips with silver buds and wined in golden wraps. The majestic tulips are printed in gold and covered around with black metallic finish. 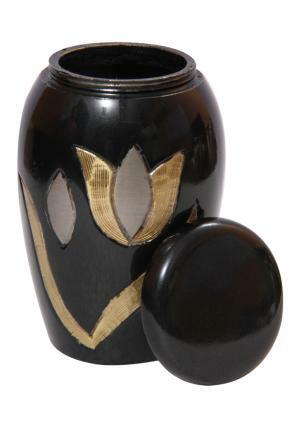 The small memorial urn is flattened on the top of the lid with polished black finishing. The urn is decorated with tulips that symbolize how deep you are in love with the demised and that brings all the respect to show how much you love. 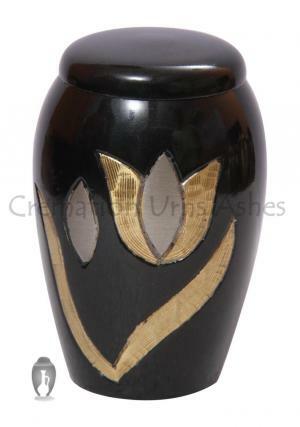 The mini keepsake urn for human ashes is made of brass material intrinsically hand designed by skilled professionals. 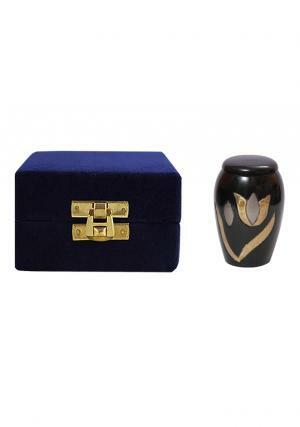 The miniature cremation urn has a secure threaded lid on the top to keep ashes into the container urn. 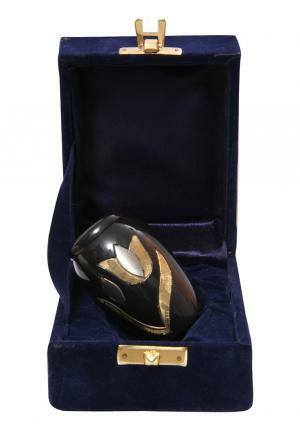 Memorial urn holds upto 3 cubic inches of ashes and dimension of this urn is 2.66” inches height, 1.77” inches width and weighs 0.15 kg.